At the moment, Liverpool have a host of promising young players out on loan across Europe. But, of these young Reds, none are in as impressive goal-scoring form as Taiwo Awoniyi. The twenty-one-year-old Nigerian striker is currently on loan at Royal Excel Mouscron in the Belgian top-flight. Mouscron have hugely benefited from his eye for goal: Awoniyi has scored six in his last seven games for the club. His latest came in a 1-1 draw at Standard Liege on Friday night. Prior to that, Mouscron had been on a six-game winning streak thanks to Awoniyi’s knack for finding the net. 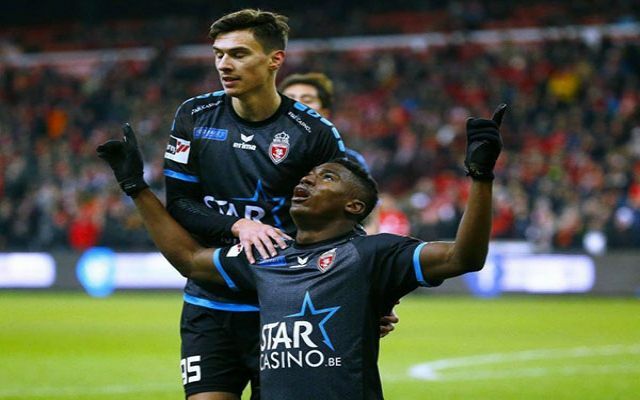 Since arriving back at Mouscron in January from KAA Gent, the young goal machine has been the key to their recent successes. Of his half dozen goals, three have been match-winners, and he’s also managed to create two assists for his teammates. With a venemous shot and fearsome pace, Awoniyi is evolving into a very promising prospect for Liverpool. If he can maintain this kind of searing form for the rest of the season in the Jupiler Pro League, Jürgen might have some interesting decisions to make in the close season.